Local fishing communities and farmers represented by EarthRights International (ERI) are suing the International Finance Corporation (IFC) in federal court in Washington, D.C. over the destruction of their livelihoods, loss and damage to their property, and the threats to their health caused by the IFC-funded coal-fired power plant in the Kutch District of Gujarat, India. For generations, the Kutch coastline has supported traditional communities who depend upon its natural resources for fishing, as well as farming, salt-panning and animal rearing. Many fishing communities depend entirely on the seasonal fish catch for their livelihood throughout the year. The construction and operation of the 4,150 MW coal-fired Tata Mundra Ultra Mega Power Plant – built just one mile away from another coal-fired power plant – has fundamentally altered the landscape and threatened the livelihoods, health and way of life of local communities that now live in its shadow. The plant takes in enormous quantities of seawater to use for cooling purposes, then discharges the hot wastewater back into the sea. The thermal pollution has already substantially changed the local marine ecosystem and led to a drastic decline in the fish catch local fishing communities depend upon. Construction of the plant’s massive outfall and intake channels has also resulted in both physical and economic displacement of local fishing communities, and has contributed to saltwater intrusion into the groundwater, destroying vital sources of drinking water and water used for irrigation in an area where fresh water is scarce. A nine-mile-long coal conveyor belt, which transports coal from the port to the Plant, runs right next to local villages and near fishing grounds. 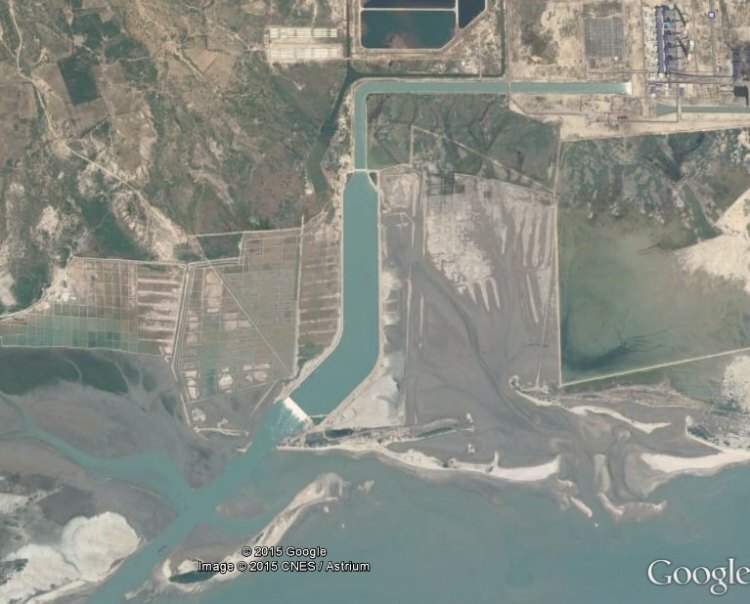 Coal dust from the conveyor and fly ash from the plant frequently contaminate agriculture, fish laid out to dry, homes and property, and threatens human health. Some air pollutants are already present at levels dangerous to human health, in violation of Indian air quality standards, and respiratory problems, especially among children and the elderly, are already on the rise. The IFC is the private lending arm of the World Bank Group, which plays a major role in funding private-sector development projects in developing countries. Because it only invests in projects that could not otherwise attract sufficient private capital, the IFC has immense influence over how the projects are operated. The IFC provided a $450 million loan to enable the Tata Mundra plant to be built. The IFC’s stated goals are to end extreme poverty and boost shared prosperity, and to carry out its investment activities “with the intent to ‘do no harm’ to people and the environment.” The IFC has developed a Sustainability Framework, which dictates the conditions of IFC involvement in projects and the obligations of both the borrower and the IFC to ensure the project promotes positive development objectives while protecting local communities and the environment. The Tata Mundra project purports t­­o be in the name to be in the name of poverty reduction and “development”, but the costs fall hardest on the poorest and most vulnerable communities. The IFC recognized that the project posed significant risk, especially if the project were not well managed and the risks were inadequately mitigated. Yet it failed to ensure that sufficient safeguards were put in place to prevent the very harms that it identified as likely to occur. The IFC’s own accountability mechanism has sharply criticized the IFC for its role in the project. In 2013, following a complaint by the Machimar Adhikar Sangharsh Sangathan (MASS; in English, the Association for the Struggle for Fisherworkers’ Rights), the Compliance Advisor Ombudsman (CAO) issued one of its most scathing reports to date, concluding that the IFC had failed to ensure the project met the applicable Environmental and Social Standards necessary for IFC projects. It found that despite predicting the type of harm the project could cause, as well as identifying the issues that would most likely lead to that harm, the IFC failed to take necessary steps to protect local communities and the environment. The IFC responded by largely rejecting the CAO’s findings. In a subsequent monitoring report, released in January 2015, the CAO confirmed that the IFC still had not taken meaningful steps to address the identified failings, had failed to remedy the harms that had already been caused by the Plant, and remained out of compliance with its obligations. Numerous organizations have condemned the IFC for its role in the project and its continuing failure to make things right. In November 2013, 100 Indian civil society organizations signed on to a letter to World Bank President Kim, condemning the IFC’s response to the CAO’s findings and calling on the IFC to withdraw from the project. Later that month, 27 civil society organizations, including Human Rights Watch, Oxfam, and International Rivers, wrote to express concern about the “trend” by WBG management “to refute, deny or otherwise fail to act on critical findings of its accountability mechanisms” using the Tata Mundra project as a prime example. Plaintiffs Budha Ismail Jam, Sidik Kasam Jam and Kashubhai Abhrambhai Manjalia are fishermen who reside at the fishing harbors (known as bunders) that are closest to the plant, located in between the Plant’s intake and outfall channels. The fishermen live with their families at the bunders for 8-9 months each year during the fishing season, and return to villages further inland during the monsoon season. Tragadi bunder is located directly next to the outfall channel, where enormous quantities of hot water used to cool the plant are discharged each day. Kotadi bunder is located next to the intake channel and close to the coal conveyor belt that transports coal from the port to the Plant. Plaintiff Ranubha Jadeja is a farmer form Navinal village whose farmland has been affected by the increasing salinity of the groundwater and the ash and dust from the plant. Additonally, ERI also represents the fishermen’s organization, Machimar Adhikar Sangharsh Sangathan (Association for the Struggle for Fisherworkers’ Rights) (MASS) and the Navinal Panchayat (village), a local government entity. What does this lawsuit mean? Why does it matter? The IFC’s own accountability mechanism concluded the IFC had failed to abide by the standards and policies that it is required to follow and failed to ensure its client abided by the terms of the loan agreement that were intended to protect local communities and the environment from harmful project impacts. But instead of acting to address its shortcomings, the IFC has failed to remedy the situation. With no other avenue for redress, our clients have turned to the courts in the United States, where the IFC is headquartered. The IFC argued in July 2015 that it is immune from suit. But while courts have sometimes found the IFC to be immune, they have found that it is not immune where suit accords with the IFC’s own mission. We share our clients’ belief that no institution should be above the law in a case such as this where the IFC has so obviously failed in its duty to ensure the projects it funds do not harm local communities and the environment, and refuses to make things right. Affected communities must have an avenue for relief when they are harmed. If the IFC will not abide by the findings of its own accountability mechanism, and funds projects in a manner that undermines its own mission, then communities must be able to access the courts. In September 2015, ERI filed its response, arguing that the IFC is not entitled to immunity, and in fact, allowing communities to seek redress for the harms they’ve suffered as a result of the project is critical to ensuring the IFC fulfills its institutional goals of fighting poverty and promoting sustainable development while doing “no harm” to local people or the environment. Experts from Accountability Counsel, SOMO, and Crude Accountability, among others, filed declarations in support of ERI’s brief, which describe the experiences of other communities around the world who have sought redress through the CAO process and confirm that project-affected communities cannot rely on the CAO alone to provide meaningful remedies. Only the threat of judicial enforcement can ensure the IFC takes its obligations seriously. In March 2016, the judge ruled that the IFC has absolute immunity from liability and dismissed the case without oral argument. The district court judge did not engage in a legal analysis of the IFC’s immunity claims; instead, the judge concluded that his hands were tied based on previous decisions from the D.C. Circuit Court of Appeals. We had argued that recent Supreme Court cases overturned the D.C. Circuit’s decisions. The district court did not consider that argument, but instead held that it should be heard and decided by the court of appeals. In June 2017, a three-judge panel of the D.C. 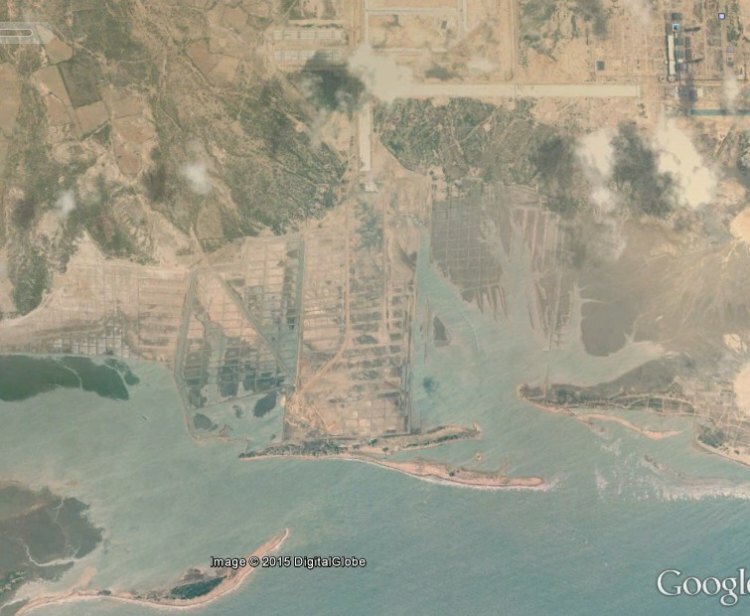 Circuit ruled that the IFC could not be sued for its role in the controversial Tata Mundra coal-fired power plant that has devastated fishing and farming communities in Gujarat, India. Even though the three-judge panel decided the IFC could not be sued, one of the federal judges declared that cases giving the World Bank Group “absolute immunity” from lawsuits were “wrongly decided.” Communities represented by EarthRights International (ERI) then filed the petition asked the full D.C. Circuit Court of Appeals to revisit its immunity doctrine. In August 2017 the D.C. Circuit Court ordered the World Bank Group’s private-lending arm, the International Finance Corporation (IFC), to respond to a petition filed by Indian communities. We firmly believe that the IFC’s sweeping claims of immunity are legally untenable and deeply problematic both from a policy perspective, and in light of the recent Supreme Court caselaw, and we feel confident that the appellate court will agree.